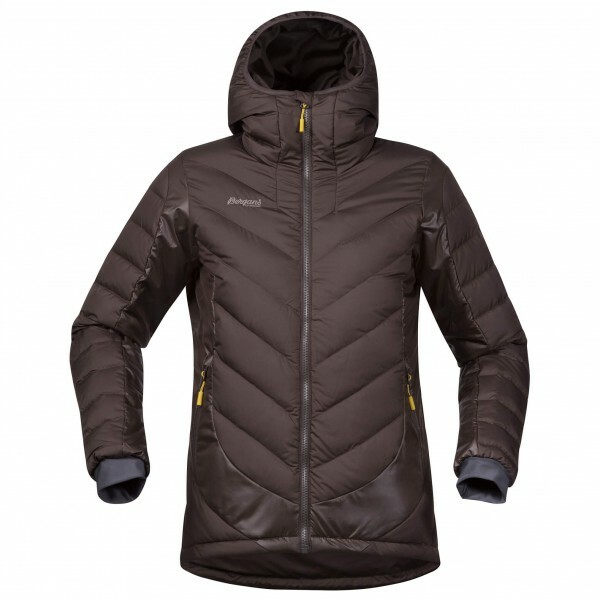 PrimaLoft Silver insulation eco (100% polyester; 70% recycled); Down; Ratio down/feathers 90/10; 700 cuin fill power (contains non-textile elements of animal origin)"
The Bergans Nosi Hybrid Down Lady Jacket from the Hemsedal collection is an extremely warm and tough ski jacket with both synthetic and down insulation! The PrimaLoft synthetic insulation and down with a fill power of 700 cuin will provide plenty of warmth while you ski. Thanks to the combination of two different insulation materials, this ski jacket will keep you toasty warm in all weather conditions. The ski jacket's face fabric is windproof and water repellent. The adjustable hood can be worn over a ski helmet. The articulated elbows and elasticated cuffs will not only allow for plenty of mobility but also shield you from the wind. The down jacket's extended back makes it perfect for freeriding in powder snow. The two front pockets are equipped with a zip closure and lined with soft fleece. 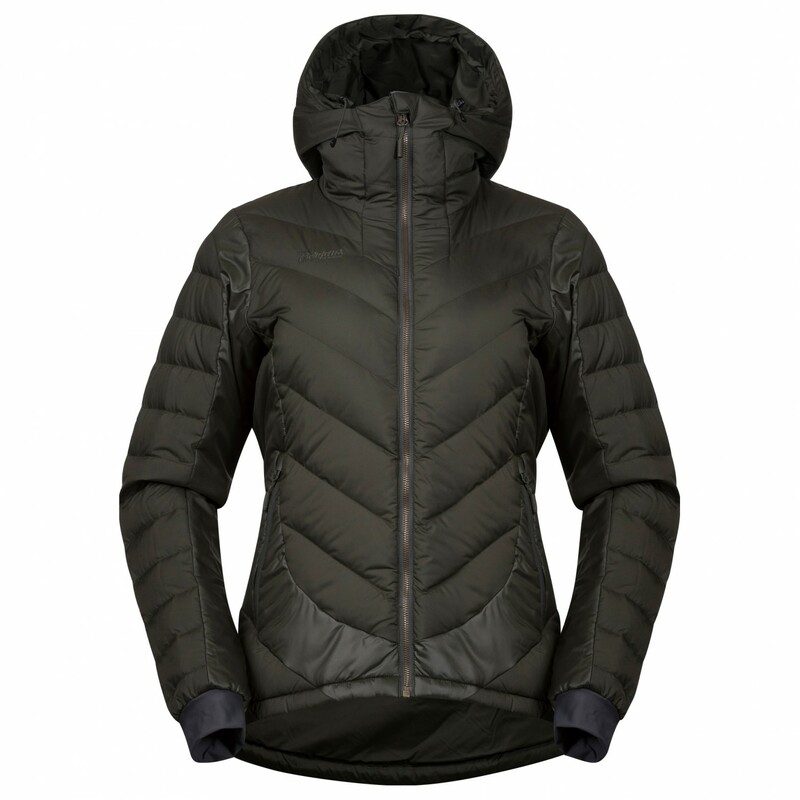 Thanks to the adjustable drawstring at the bottom hem, the Bergans Nosi Hybrid Down Lady ski jacket will fit perfectly at all times and keep you nice and comfortable this winter.